For my first born I had a C-section and a very traumatic birth experience. So when I got pregnant for my second I started looking into other options. Needless to say I was very scared to trust anyone. I met with Sara and Jodi and we just clicked. I was still seeing a doctor when I started meeting with them. I was having some pregnancy issues and Sara and Jodi helped me with them far more than my doctor did. They gave me ideas on how to help the swelling and other issues I was having naturally that worked! They spent time with me helped me with my fears, talked with me like a human being. They lifted me up and loved on me when I was down and scared. They were there for me more than a family member. I don’t know how I could of done it without them. It was more than just helping me push a baby out. They taught me things and showed me that I could do what my body was made to do. When it came down for labor they were with me the whole time. Lifting me up, encouraging me. I met another wonderful lady named Laurie that night too. She was just as encouraging as Sara and Jodi. They worked together to help me like I’ve never met any other woman do. I did have a complicated issue that had to send me to the hospital, but I ended up having a VBAC and I don’t think I could of done it without them. I had issues with the hospital staff and Sara and Jodi fought for me! Even when their job was done they stayed by my side and helped me, and did what they could for me. I remember when I had pushed my baby out and he wasn’t breathing and the doctors wanted to take him away from me. Sara said, “just talk to him” so I did and he started to cry! It was an amazing feeling! Not only did I push him out with out doctor intervention but he heard me and started crying! I will never forget what they did for me and the love they showed for me. I have never had that from someone and it was what I needed. For my third baby it was a no-brainer to go with them. They did not let me down at all. I finally had my baby at home and it was because they worked with me emotionally and physically. I don’t have any one that was there for me, and I knew I could count on them. They went above and beyond what they ever needed to do for me. It didn’t stop when I had my baby, they helped me out after I had him. And even though my baby’s 7 months old now, I know I can call and ask them any question or help on something and they would do there best to help me. I feel like I gained more than a midwife. I gained a friend and family members. I could never have done this without this team. I am so blessed to have met them. I have never met any one like these people. It’s more than a job for them. They truly want to help women and their families, and that is a rare quality in this world. I am halfway through my third pregnancy. This will be my first homebirth, as well as my first time being cared for by a midwife. I cannot say enough positive things about my experience thus far. The Simply Born team is so amazing and knowledgeable. They take time at every appointment to answer my family’s questions, as well as thoroughly addressing how I have been feeling since we met last. Yes, I did say family, as my husband and children are included in the experience as well. We have learned so much about pregnancy and birth from the Simply Born ladies, that I regret not having met them sooner. With my previous two pregnancies, I felt that I was left to navigate unknown territory all by myself, while having to attend monthly “checkups” at my OB office where I was poked and prodded, but never actually listened to, or felt cared for. Sara and the apprentices at Simply Born are so warm and welcoming, and make themselves available even outside of scheduled appointments to address any concerns that may arise. They help to empower women to make educated birth decisions, and to feel supported along the way. The service they provide is invaluable. I am so thankful to have Simply Born in our community, and will gladly share my experience, and wholeheartedly recommend them to all pregnant families! What I learned about a home birth, as compared to a hospital birth. My first child was born in the hospital with an OB/Gyn. 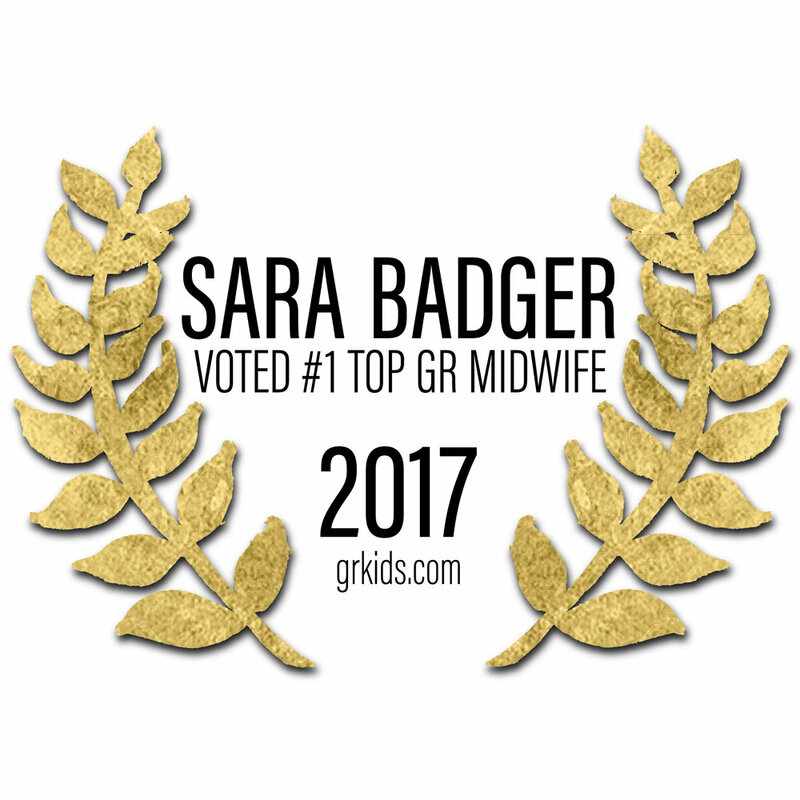 My second baby was born at home with Sara Badger, midwife, and the Simply Born team, and the prenatal, birth and postnatal care were wonderful! Less pain. Let’s face it, that’s what all of us women want! Because I was encouraged to take my time and push when I felt the need, I felt less pain than in the hospital setting in which the nurses and doctor told me when to push and push hard! At home, my body just naturally did the pushing for me. Bonus – I didn’t tear, so recovery was less painful as well! Client-centered. I was in charge! Sara and the team offered their expertise, stating benefits and risk of each procedure or practice. But in the end, I made the decision. As a result, I grew to trust Sara and this enhanced the client-midwife relationship. Relaxed atmosphere. At my OB/Gyn office I was forced to wait in the waiting room because they were behind on time, which happened almost every appointment. Once I eventually saw my doctor, I felt rushed, resulting in a limited relationship with my doctor. Sara’s office is in a living room. You sit on couches and chairs. It is kid friendly! And best of all, as a mother with a toddler, no wait time! After you give birth, you can relax in the comfort of your own home. You can eat whatever you want (not tasteless hospital cafeteria food) and sleep in your own bed. What’s more relaxing than that? Supportive community. Sara focuses on the end result; a happy, healthy baby and mama. You feel like you can call, text or email her anytime, day or night, during pregnancy and long after the baby is born. She also hosts educational presentations, community events, playgroups and parenting groups. Pregnancy is not a disease. My doctor administered test after test, not explaining the risks or benefits, nor the cost! It seemed like she was always looking for something to be wrong, which created a negative environment. Sara screens for symptoms, then administers tests. She views pregnancy as a positive, exciting part of a woman’s life. Not messy! Actually the whole birth was quite clean, if you can call a birth that. I expected to find a drop of blood somewhere on my floors, but no! The team cleaned everything and even did a load of laundry! To say the least, I loved the birth experience with the Simply Born team. Sara offers a service that was previously unavailable to women in the Grand Rapids area. It is great that families have the option to experience birth without hospitalization. Sara Badger is down-to-earth. She is knowledgeable, honest, trustworthy and fun! There are many things I learned about pregnancy, birth, and breastfeeding, from Sara and her wonderful team that nobody (including my obstetricians) told me about in my last 2 pregnancies. One of the first questions Sara asked me was “What does a homebirth look like for you?” I didn’t have a good answer and what I had pictured in my head didn’t even come close to the amazing experience of having my 3rd child peacefully at home thanks to the Women at Simply Born. 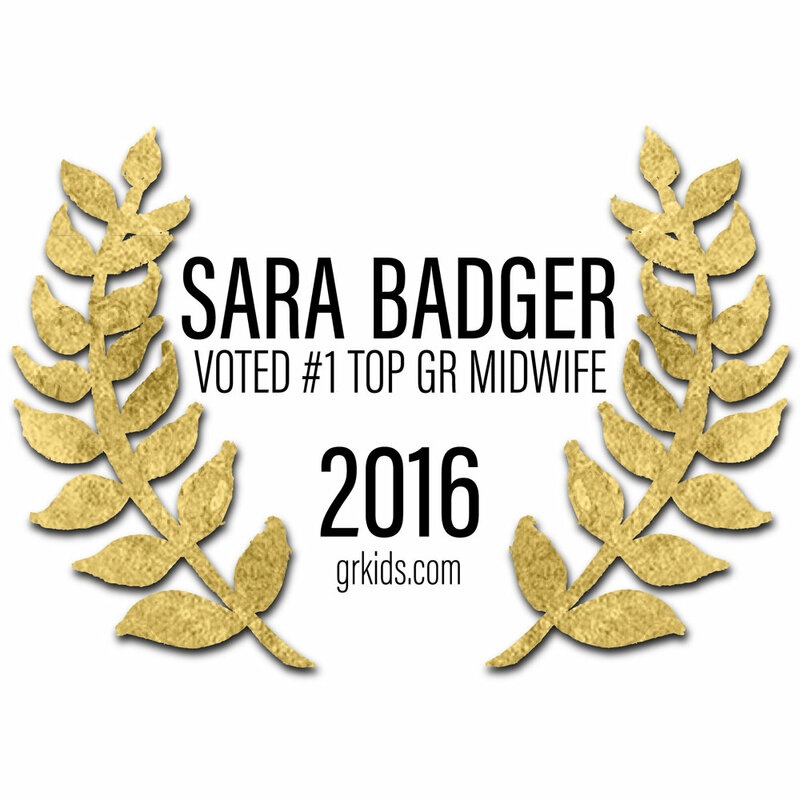 Each person on Sara’s team has different skills and they each add something wonderful to your birth experience. These wise Women listen to you and care for you in a way that is so genuine and warm. Every question I had was answered and I looked forward to every visit with them because not only did they give good information but we had great conversations! My natural water birth was everything I hoped it would be and then some. It was intense but NOT painful (something that can’t be said for my 2 previous inductions even with an epidural). During labor I didn’t think twice about my decision to birth at home. I knew my baby and I were safe in Sara’s care. Afterward, I was so thankful to be at home resting in my bed while the Women at Simply Born cleaned up and even made me smoothies! There is absolutely nothing like being in your own clothes, in your own bed, with your new baby. I would do it a MILLION times over. My home birth was fierce and beautiful and empowering. I walked away from this experience with a new found strength and complete faith in my maternal instincts. After my first daughter’s birth, I was left questioning my instincts, my self awareness, and every decision I made as a mother, all because my ability to choose was taken from me the moment I stepped foot in the hospital. Losing my power and control in those early moments with my first daughter stripped me of my self confidence thereafter. And I had no idea. All I knew was my hospital birth didn’t go as planned and I was disappointed, but I had a healthy baby, so I wasn’t sure why I was disappointed and I felt guilty for feeling disappointment, like, I didn’t appreciate the beautiful little girl God had blessed me with. I now realize that the “disappointment” I felt was actually self doubt and a feeling of weakness. Sara restored my power, strength, and confidence when she looked me in the eyes in a single fierce moment of labor and said, “Trust your body. You can do this.” Soon after, I confidently and proudly welcomed my second daughter into the world. 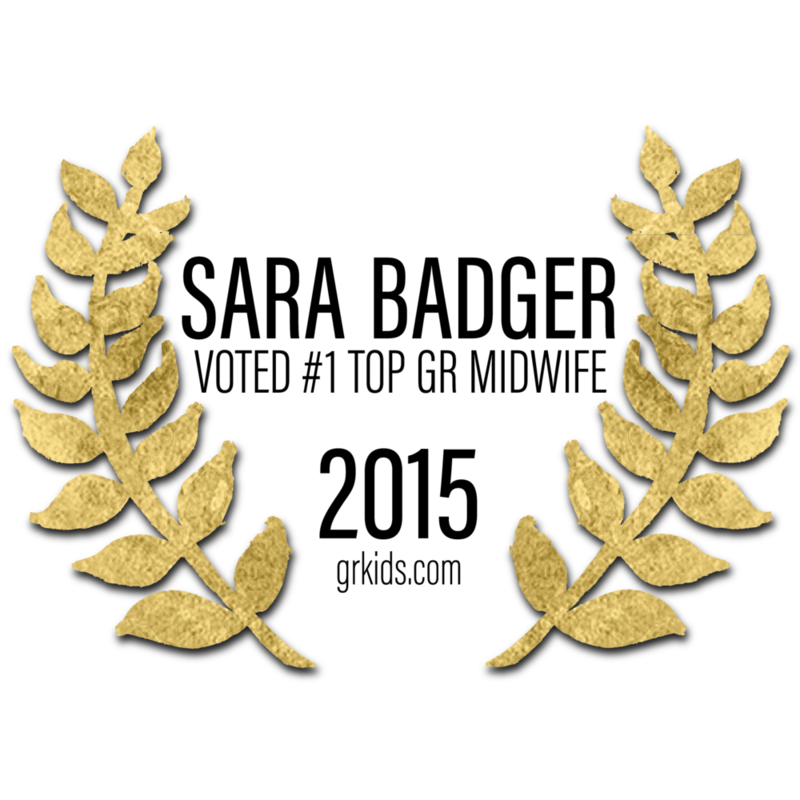 This faith in my maternal instinct has resulted in an all around transformation in my approach to parenting, my relationship with my family and husband, and my career, a transformation which has created a general feeling of ease and tranquility in our lives. And it all started with Sara’s quiet and gentle words, “Trust your body. You can do this.” Thank you, Sara, for helping me find my power and self confidence again.